Poe’s 1845 poem made him a celebrity in his day and is probably his most famous and oft-quoted work to this day, its influence inherent in everything from the memorably perverse 1935 Karloff-Lugosi movie of the same name to the 1994 adaptation of THE CROW. 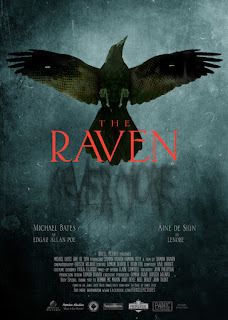 Christopher Walken and Vincent Price have delivered seminal readings of the poem, and this visually striking adaptation is narrated by a lead actor (Michael Bates) who bears a strong physical resemblance to Poe. Bates’ portrayal of the writer sees him visited by an eerie, spectral bride in his candlelit chamber while the poem unfolds on the soundtrack, reflective of the grief Poe endured following the lingering death of his own wife Virginia. 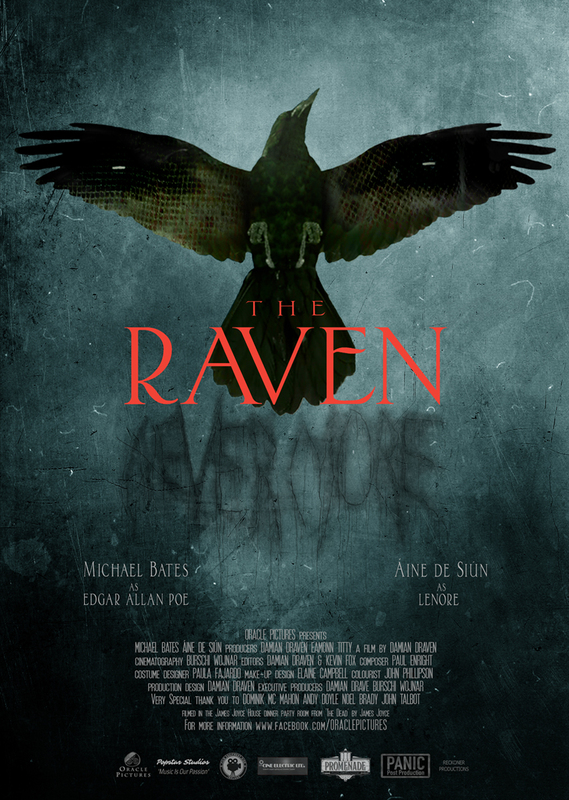 (“The Raven” has been described as “a rehearsal for bereavement”). Lent additional ambience and production value by virtue of being filmed in James Joyce House in Dublin, this short film from director Damian Draven (whose earlier work includes a stint on PENNY DREADFUL) is a melancholic study of lost love and madness, with a suitably haunting final shot and impressive performances from Bates and, as the lost Lenore, Aine de Siun.